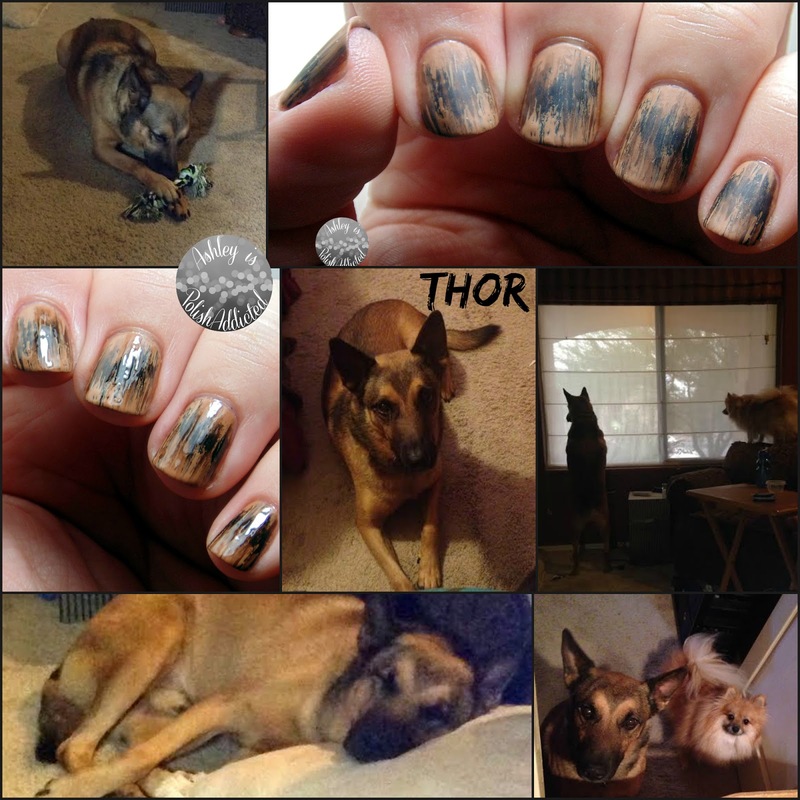 Ashley is PolishAddicted: "Thor" Nails and an Introduction! Happy Saturday! 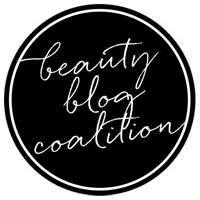 I am so excited for today's post! With all the craziness lately I realized last night that I haven't officially shown off the new addition to my family! I showed pics on Instagram when I got him but I haven't shown him off here. So, everyone, say hi to Thor! I decided there couldn't be any better "animal print" to do for Day 13 of the challenge than my new baby! He is a "rescue" of sorts and I couldn't have asked for a better dog. I got him 2 weeks ago, as of yesterday. He is sweet and well behaved and gets along well with both of my other dogs. (Though Sam is an old man is pretty much happy as long as you let him sleep most of the time! 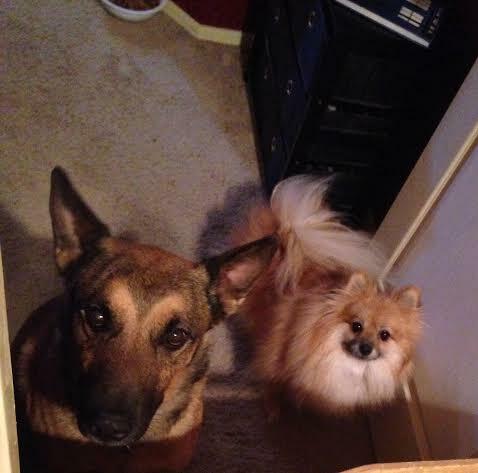 LOL) Snickerdoodle still has some jealousy issues but overall they are getting along better than I could have imagined! He is a German Shepherd (though I'm not sure if he is mixed with anything else or not) so I created the look of his hair on my nails today! 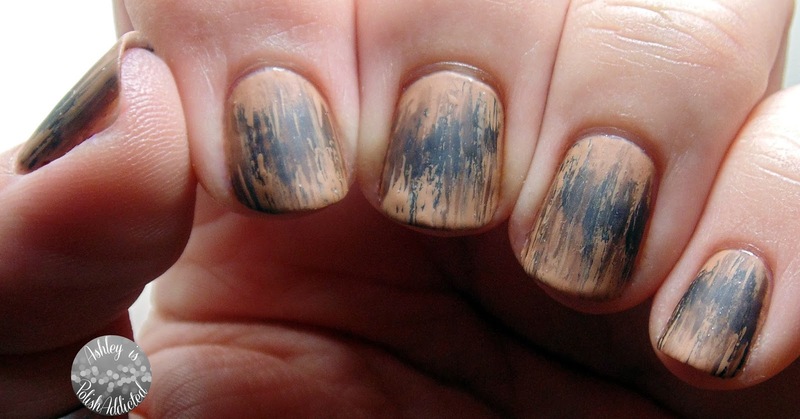 To create my "Thor print" nails I started off with a base of butter LONDON Tea & Toast. 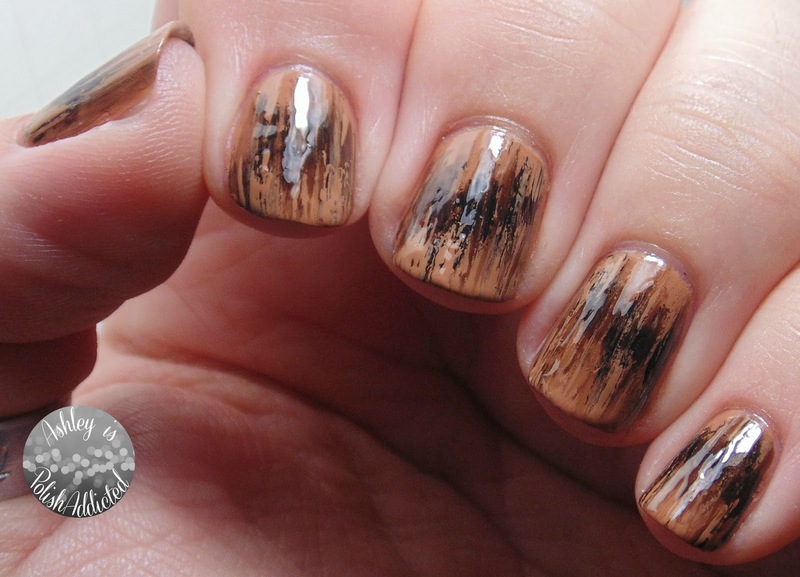 I then used Elevation Polish Tette (an amazing brown jelly) and a plain black creme with my striping brush to create the "fur." This is adorable! And I just want to snuggle up with both those pups! This is great! Congrats on your new addition!! The cutest and love the mani! Great mani and a gorgeous new baby, Congratulations!